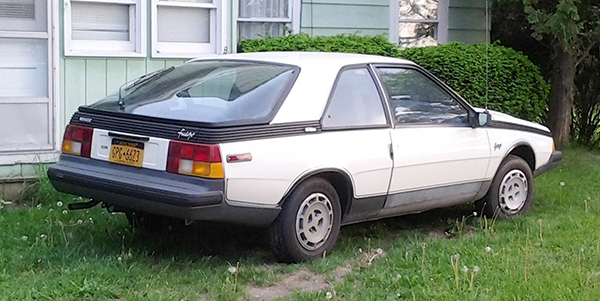 The RealRides camera spotted this rare (around here, anyway) 1982 Renault Fuego coupe in Albion as we took the long way home from a trip to Brockport a month or so ago. By the time the Fuego hit the U.S. showrooms it found itself sharing space with the likes of the AMC Spirit, Concord, and Eagle, as the French carmaker bought the venerable old Kenosha, Wisconsin company in 1980. The Fuego was a sport compact coupe which originally did well in Europe, but as with most of Renault’s later offerings it never really caught on in North America. Production ran from 1980-86 in Europe, and 1982-92 in South America. Jim Corbran, RRofWNY Check out our new Facebook page: LuvTheCheapies The post RealRides of WNY appeared first on Buffalo Cars.